KIEV, Ukraine -- Ukraine International Airlines (Kiev) has urged passengers on flights to Brussels (Belgium) to limit themselves to hand luggage because of a strike by the freight handling personnel of the Swissport International company (Switzerland), which services the Brussels international airport, the airline company announced in a statement. "At the moment the baggage tracking service at the Brussels international airport is not working and the numbers of personnel and equipment serving flights are extremely limited. Freight handlers are blocking access to aircraft by placing checked-in baggage at the airport's charter terminal," the statement said. 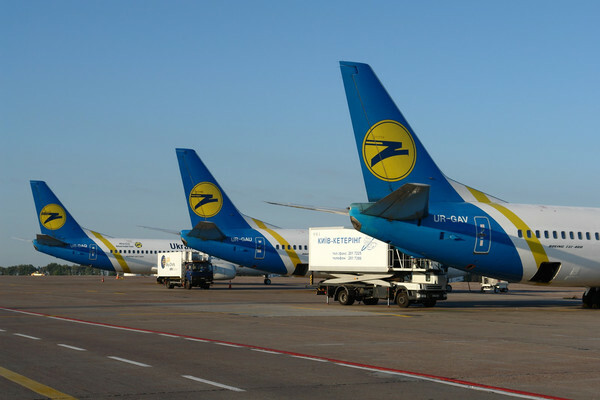 The Ukrainian airline company believes that under these unavoidable circumstances, the only alternative is a reasonable decision by passengers on flights to/from the Belgian capital to limit their hand baggage as much as possible until the situation is resolved and the strike ends. According to Ukraine International Airlines the strike at Swissport International, which is the largest international freight handling company, began on May 12 without prior notification of the relevant services at the Brussels airport and the airline companies operating flights to and from this destination. As Ukrainian News earlier reported, Ukraine International Airlines is one of the largest airline companies in Ukraine. It performs about 700 international and domestic flights per week. good transform over to Google Hangouts in order to get on a quick call. slackdownloadapp report the local weather and also react to queries regarding nice. good As soon as you complete the Bluestacks download Viva Video APK their Android equivalents offer to their users nice.